This class is open to children and their parents. It will cover different techniques of working with clay and glazing their finished work. All materials and firings are included. The class meets for 6 weeks and is $150. If you missed the start date and would like to join this class after the start date, the class can be prorated ($25 per class). 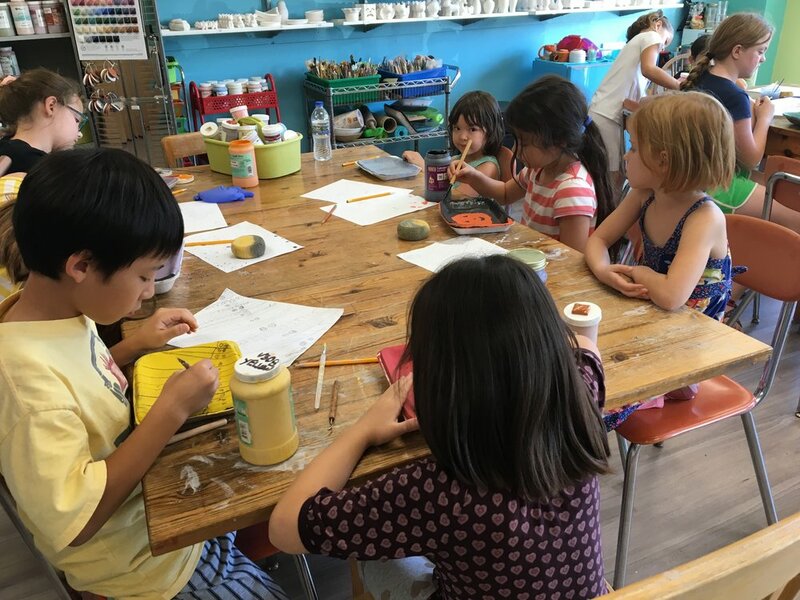 This session will cover different techniques of working with clay and glazing their finished work. All materials and firings are included. The class meets for 6 weeks and is $150. This 6 week session will cover different techniques of working with clay and glazing their finished work. All materials and firings are included. Cost is $150. If you missed the start date and would like to join this class after the start date, the class can be prorated ($25 per class). A great way to spend a Friday night! 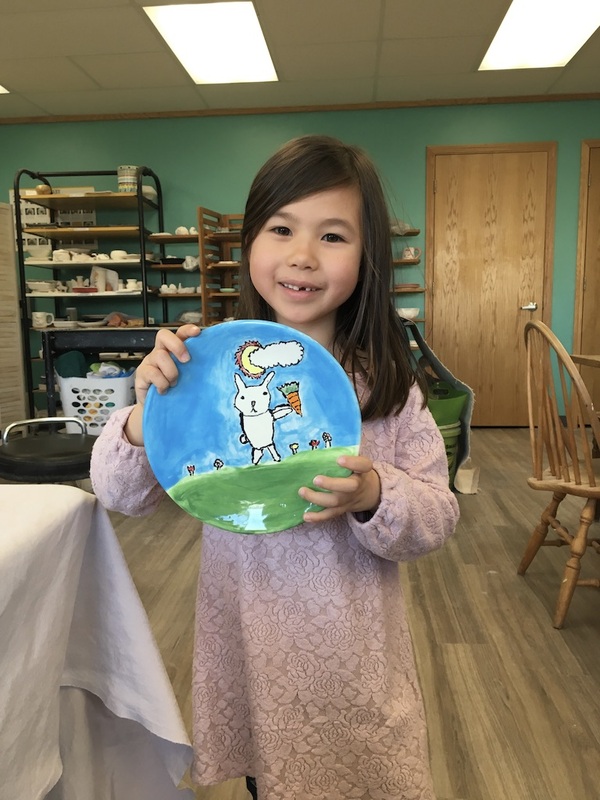 We will start the evening off with a pizza party followed by painting a piece of pottery, ice cream at Jiffy Treet and if time allows, we will also make something out of clay! $35 per child includes everything. Eat and Play Break Session 12pm to 1:30pm $75 (for morning and/or afternoon participants) Pack a lunch, play at park. On Tuesday and Thursday we will make lunch. 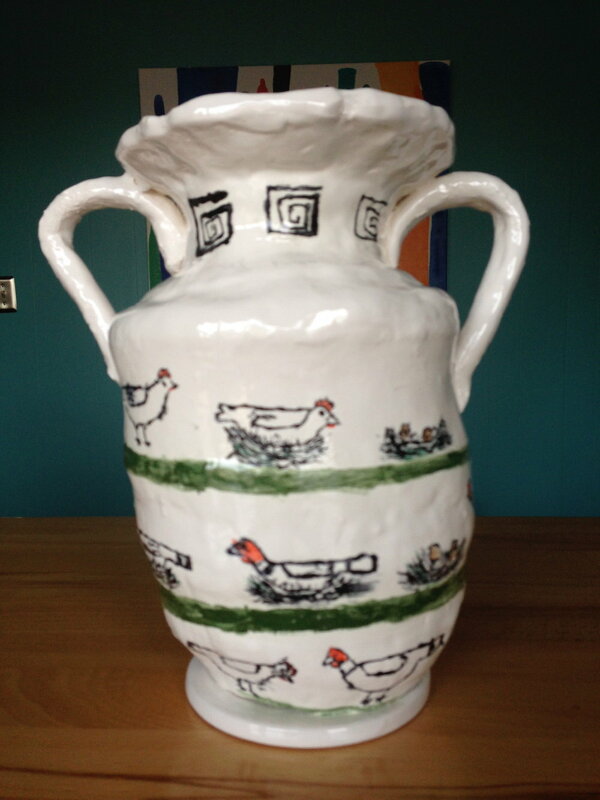 Make something fun out of clay or choose from a wide selection of pottery to paint. 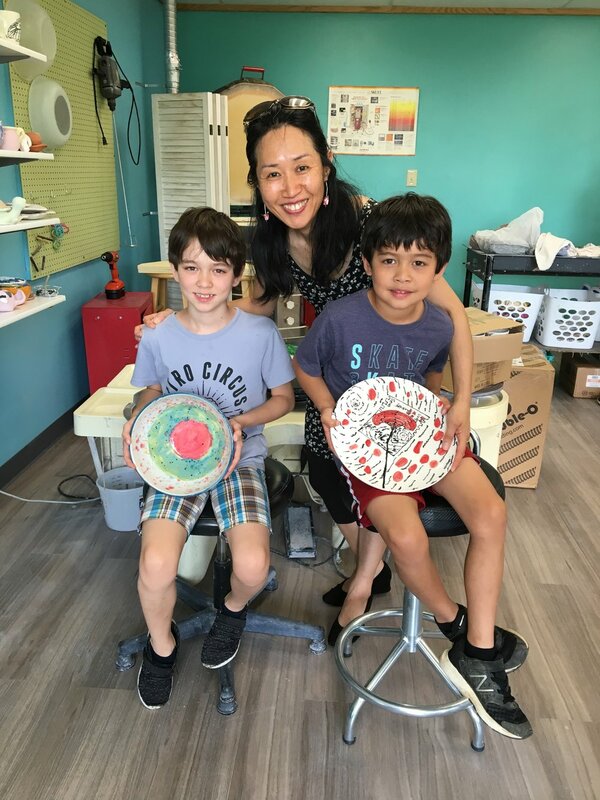 Regular drop-in pottery rates are charged (starting at $17) and includes all materials. You are welcome to bring refreshments. 6 person minimum.